If you are looking to do A/B testing for your website in order to improve your SEO, you might be looking into the best software available. With so much out there these days, it is important to understand what A/B testing is, why it is useful, and what A/B software will really be beneficial for you, so let’s get right to it. A/B testing, which is also known as “split testing,” involves comparing two versions of a web page to see which one performs better. In order to run this test and conduct this kind of analysis, you will need to compare two web pages by showing the two variants (“A and B”) to similar visitors at the same time. Once you run this test you can see which web page gets the better conversion rate. In the example above you see that the test splits similar audiences in half (50%/50%) and displays two different variations of the same page to each of the groups (“A” and “B”) In variation “A” the conversion rate was 23%, whereas variation “B” only had an 11% conversion. In this particular example variation “A” would be the page that you would want to go with. Regardless of what kind of business you have, converting visitors to customers is likely the end goal, and A/B testing helps to make sure that your site is providing the best information and display to get the highest conversion rate possible. What kind of differences should you test? Of course, A/B testing can get more detailed and complicated if you want it to, so for more detailed information on A/B testing, especially for beginners, check out this article. Once you have a good base regarding what it actually is and how it works, you have to actually put it into action with A/B testing software. Below are some of the most popular options out there to actually get started running an A/B test. I would recommend trying one or two first to get a feel for how it works and which software is best for you and your company. Targeting and personalization including deploy personalized content, target specific visitor types, and measure visitor segment metrics. Unfortunately there is not a lot of “free” software for A/B testing just because of the nature of this more complex tool and platform; however Google Analytics is free and it definitely is a good place to start if you are not quite ready to invest in software specific to A/B testing just yet. The major difference is that it is not quite as user-friendly as the other recommendations on this article, and it might be a little bit of a learning curve. One of the major reasons for this is that it lacks a visual editor. GA offers a feature called “Content Experiments,” which allows users to split-test page variants within the program. You can learn a little more about this analytics feature here. Again, Google Analytics isn’t known to be an A/B testing software solution, but it can be. It is a free platform. It is a fairly simple interface, while maybe not as user-friendly as others. The “Goals” feature allows for easy tracking of business targets. You can directly integrate with other analysis features. It is great if you already have all of your other data incorporated into GA (which you should!). 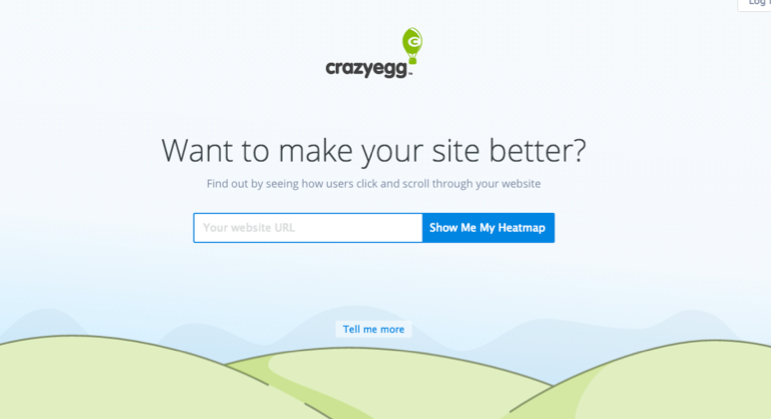 Crazy Egg’s blog claims that their platform specializes in click-tracking and that their software allows business owners to identify exactly what users are doing when they visit your website. 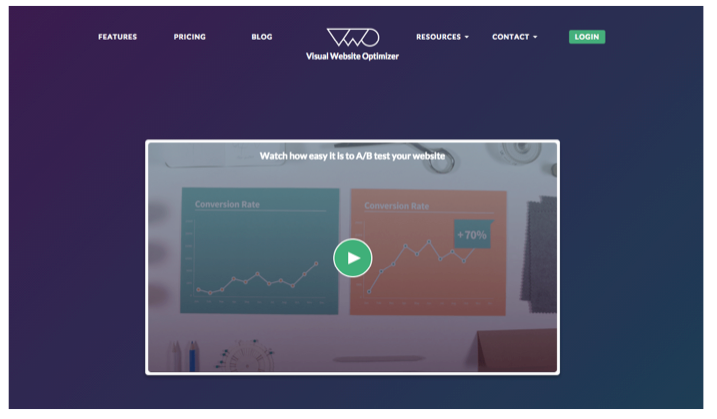 This is an extremely visual platform and it offers six different reports that you can run in order to get the most out of your A/B testing. The subscription is also only $9/month, making it one of the cheapest platforms available. Unbounce is a great option for A/B (an other landing page testing), because it allows you to run complex analyses without any knowledge of HTML. Like the others on this list, it has an extremely easy-to-use interface. The price range is from $49/month to $199/month, depending on features. According to Mashable, Another positive for Unbounce is that it integrates with a variety of providers, including Awber, Hubspot, Mailchimp, CampaignMonitor, ConstantContact, Zoho, Salesforce, and more. You can create multiple variants of the page, which can be split tested. Pricing is reasonable for the features and integration available. Now this last platform is a bit different than the others on this list, but I am adding it because I actually think that it goes really well alongside any of the other platforms mentioned. 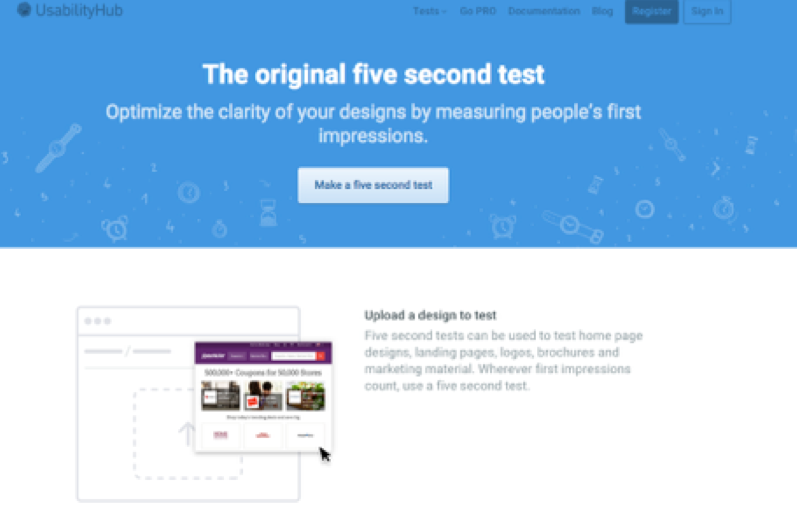 Five Second Test works by having you analyze the most prominent elements of your web page design. The test works by figuring out what a person recalls about your design in just 5 seconds. This is a great way to test and that that your message is being effectively communicated and see what users like most and least about your website. It is very quick and efficient to use. You may not get as much analytical data as some of the other platforms on this list, but you can definitely figure out what key design features are standing out or distinct between two “A” and “B” models. Using platforms for A/B testing that are the “best” helps to ensure that your A/B testing is SEO friendly. Website testing is critical in improving conversion optimization, however, A/B testing can hurt SEO if done incorrectly or in a commonly discussed “cloaking” manner (In cloaking the content presented to the search engine spider is different than what is presented to the user, and if detected, this can hurt your SEO). Using approved/rated platforms, regardless of if they are free or paid can help to make sure that you are going about testing in the right way. It also helps to make sure that you are getting the best analytic information possible. Have you tried any of these A/B testing platforms? What were your results? Let us know in the comments section below.